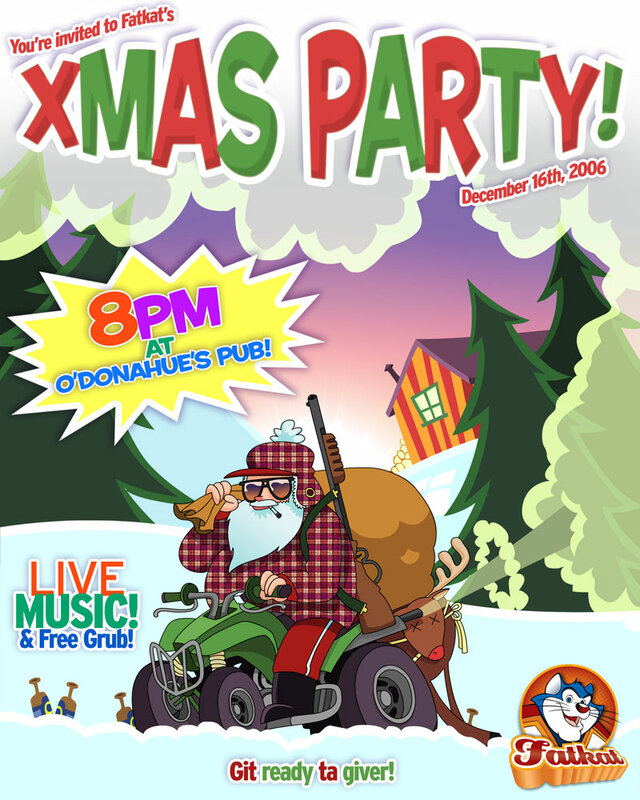 ★ LOOGAROO ★: XMAS PARTY DECEMBER 16th! Not only is this post luck number 400, it's a great post that's celebrating the jolliest of holidays! If it's anything like our last xmas party this one is going to be a blast! Unfortunatley this party is private and only for Fatkats and their guests (Too many party crashers show up to our other parties!). NBCC Miramichi Animation Students are also invited! So if you get an invitation be sure to show up and get loaded! It's going to be great!